Very few black Virginians received any education at all until public schools were established during Reconstruction. Public schools in Virginia were segregated from the outset, apparently without much thought or debate, on the widely-held assumption that such an arrangement would reduce conflict. Of course, public schools were segregated in many other states, both North and South. When public schools were a novelty, most black Virginians were thrilled to have any free education at all. Moreover, they liked having schools of their own, not subject to white interference, in which black children would feel comfortable and not be taunted with racial epithets. These schools, however, were at the mercy of the white-controlled state government for funding. Many whites did not want blacks to become educated, fearing they would challenge white supremacy and not be content with jobs working in the fields or in domestic service. Black schools therefore received far less financial support than did white schools. 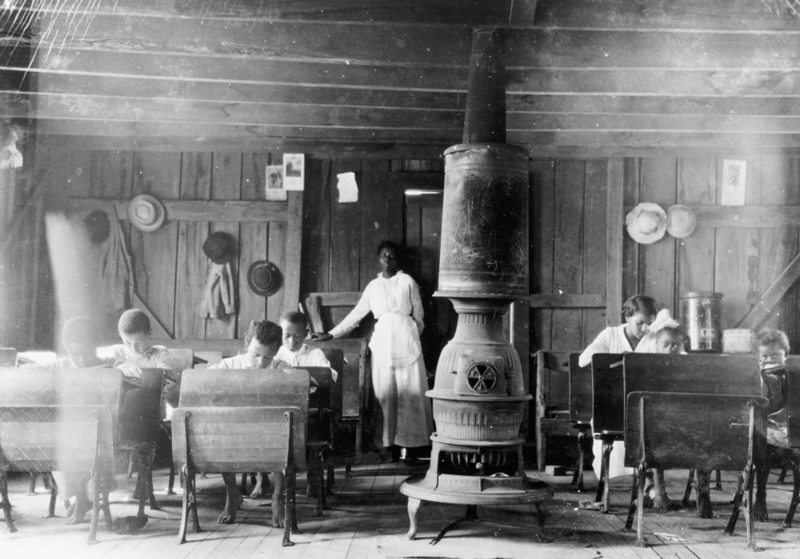 Black schools had fewer books, worse buildings, and less well paid teachers. Ramshackle, segregated schools marked black Virginians with a stigma of inferiority and the status of second-class citizenship that they would have to endure throughout their lives.